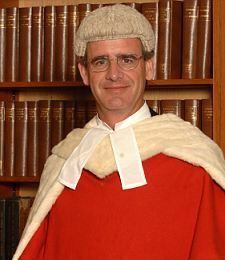 The Briggs Review was commissioned by the Lord Chief Justice and the Master of the Rolls in July 2015 to coincide with a programme for reform of the courts by Her Majesty's Courts and Tribunals Service (HMCTS) and to look at civil court structures and judicial processes more generally. An interim report was provided to the Lord Chief Justice and Master of the Rolls at the end of 2015 confirming a "clear and pressing need" to create an Online Court (OC) for claims up to £25,000. A model built around the needs of its citizens, business users, visitors and overseas users, victims, witnesses and state users. A system which is easy to use, digital by design and default and well supported for non-digital users. A system with the "majesty of the court" when needed and lower cost, lower burden (mostly digital) channels where not. A structure with different channels/experiences for different cases – all consistent with the justice brand. A system which is transparent and accountable in approach and use of digital transparency. A model operating at low cost for much of the system, and securely funded. A model which is designed for 2050 not 2015 – with a flexible infrastructure to keep it relevant. A higher skilled but smaller workforce. This review moved to its second phase in the early part of 2016, involving more formal consultation with the legal profession, advice agencies and users of the civil justice system. The formal consultation is expected to be completed by the end of May 2016 with the Lord Justice Briggs completing the review by the end of July 2016. The first face-to-face open consultation took place on Monday 14 March 2016 at the Sheffield Crown Court to which fee-earners were invited. Further open meetings are planned on Mondays and Fridays through March and April 2016. The comments submitted to the review from iJustice®, the support service for the Litigant in Person.